Building stories: LiveStories’ technology makes it easy for organizations to turn data they have gathered into full stories, featuring charts, text, photos and many other elements. The startup works mainly with governmental agencies and nonprofits, helping them communicate with constituents. Defense data: LiveStories began working with the U.S. Department of Defense in December. It built a website using data about bombings in historical wars. The company’s technology is all drag-and-drop to allow nontechnical users to create stories. Early learning: Mahmud was born and raised in Bangladesh, where his father worked for the government. That’s when he realized how a lack of easily understood data could hold back the government. “When you hold back the government, you hold back the people,” he said. 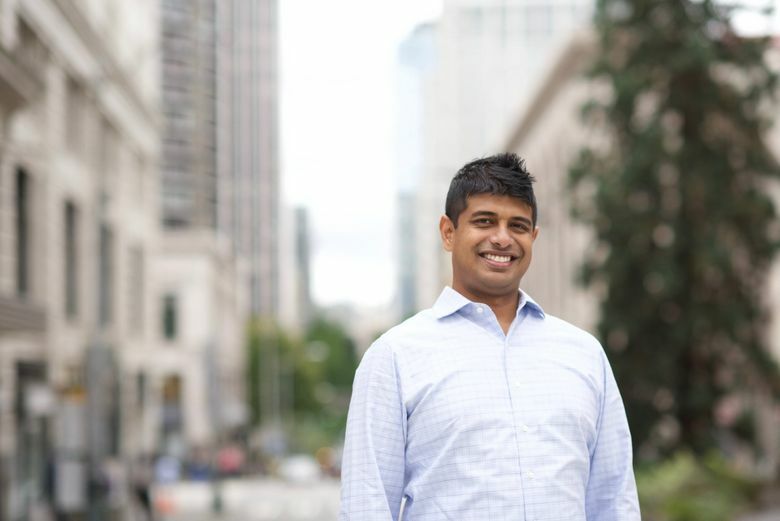 Power of the public: Mahmud was working at Microsoft when he founded a nonprofit that tracked people’s charitable donations, letting them know exactly what their money was used for. He saw the impact the public sector had on critical issues, and decided he wanted to focus his time there. Think local: LiveStories often focuses on working with local municipalities, Mahmud said, because that work directly affects people in each community. “D.C. is too far from most people, so local government is at the front line of all the challenges, and they’re looking for help communicating what’s going on in local communities to the public,” he said. Seattle bumps: Mahmud tested the idea for LiveStories by working on projects in Africa with the Bill & Melinda Gates Foundation. After his idea was formed, he took part in the Techstars accelerator. LiveStories now has more than 100 customers, reaching as far as Melbourne, Australia. The company has 23 employees and is “hiring aggressively,” Mahmud said. LiveStories has raised $4 million in funding from investors, including True Ventures and Founders’ Co-op.